This is the title of a publication by ‘More than a score’. More than a score is a broad coalition established by the largest teachers’ union the NUT (now part of the NEU), parents’ organisations, academic researchers, and specialist associations for school subjects, primary schools and early education. This publication arose from a More Than A Score seminar at Oxford University in March 2017. It is described, and can be downloaded from this post on the ‘Reclaiming Schools’ website. The ‘Reclaiming Schools’ introduction states the following. Previous posts on this blog have dealt with the teaching of writing in primary and secondary education, and the value of formal grammar teaching in this process. This debate has been going on for more than half a century, and, given the complexity and importance of the issues, it is striking that ministers seem intent on imposing a teaching and testing regime of grammatical knowledge for what seem largely ideological reasons. In this post from the IOE London blog, Dominic Wyse considers the issues. Borrowing Hamlet’s phrase, the autumn issue of English in Education looks both before and after current concerns in English teaching. We begin with an interview with John Dixon, author of Growth through English, one of the founding texts of modern English studies. 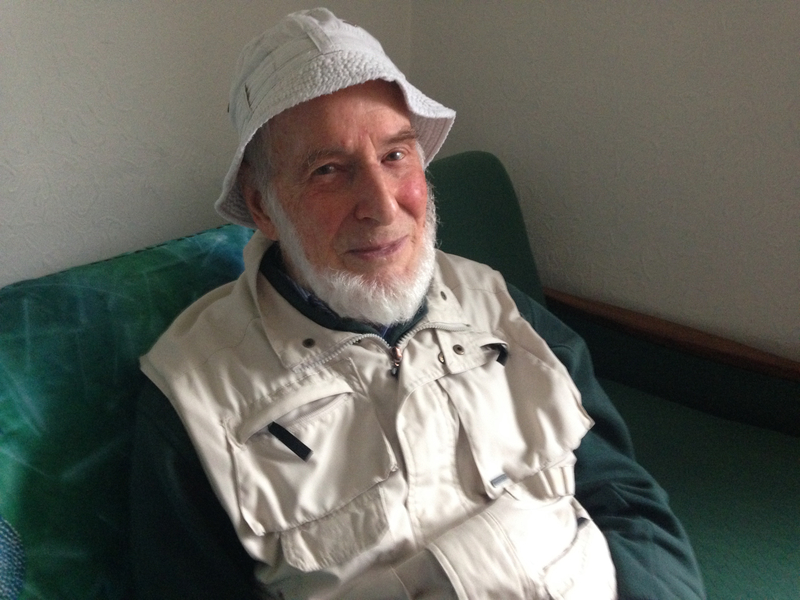 John reflects on the seminal Dartmouth conference of 1966 and conveys his continuing encouragement to teachers to think through the “serious game” of education in ways that are both playful and exciting. Chloe Marsh’s paper takes us back to the future. Her small-scale study reports on the responses of English teachers faced with teaching poetry for terminal ”closed book” examinations for the first time since the introduction of the UK national curriculum in 1988. Yvonne and Duncan Williams similarly report on assessment procedures for A level English. Their wide-ranging account examines several aspects of the examining process in order to ask: how accurate can marking of A-level English Literature be? The other contributions to this issue ask us to look towards the students in everyday classrooms. Jo Carrington’s poem “Who chooseth me shall have what he deserves” dramatises the reciprocal sense of failure of a teacher and student engaged in preparing for high-stakes testing. Rachel Gilmour’s “Reading/Writing Multilingualism” takes us into contemporary “multilingual” urban classrooms in which speakers often have highly diverse language repertoires. Audrey Wood’s paper on pre-twentieth century literature in the year 9 classroom also reports on a project to help her students make a live connection between their language and experience and their year 9 literary texts. Next year, English in Education will have a new publisher. The redesigned journal will be launched at the conference of NATE (UK) and the International Federation for the Teaching of English, which will be held on 21-24 June at Aston University, Birmingham, UK. The first issue of the new volume will be a special edition on Reader Response and English Education, edited by Marcello Giovanelli and Jessica Mason. We conclude the current volume with a Call for Papers for the 2019 special edition on Writing, to be edited by Jeni Smith and Mari Cruice. 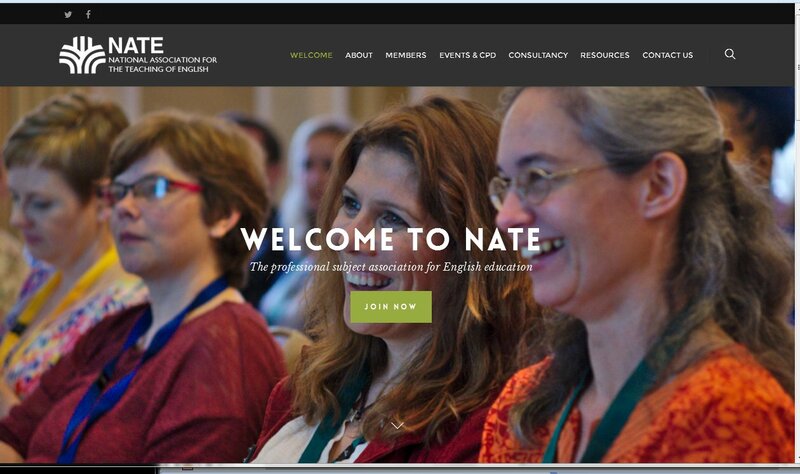 English in Education is available in print and on-line to members of NATE. To join NATE, follow links on the right hand side of this page. English teachers: bound to necessity? Being a good teacher of English (or any other subject) requires not only skill – the craft or techne required to achieve a desired outcome – but also wider understanding, or episteme. Plato associated episteme with a freedom of intelligence, while (according to Damon Young) techne in the Greek polis “was a kind of knowledge associated with people who are bound to necessity”. English teachers often resent being bound to necessity. 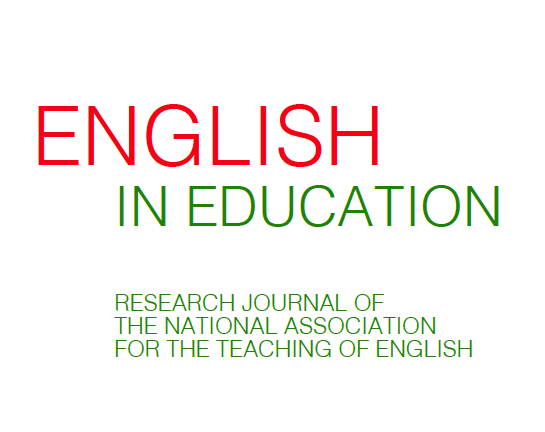 Bethan Marshall writes in her conclusion to Testing English: “Despite over 150 years of battle, English teachers are still trying to assess English in a way that makes sense to them.” Given current circumstances, it’s not surprising that much of the research presented in the new (Summer 2017) issue of English in Education concerns episteme rather than techne. Paul Tarpey reconsiders John Dixon’s “personal growth” model of English in relation to its current manifestations. Nicholas Stock explores the rhetoric of England’s new GCSE English examinations. Jonathan Glazzard examines the “phonics check” for England’s five year olds in relation to various theories of reading. Paul Gardner compares the discourses of English in England and Australia. In practice, of course, the two kinds of knowledge interrelate. Margaret Merga’s large-scale survey of children’s reading motivations and interests has direct relevance to classroom practitioners. Jonathan Monk draws on cultural history and theory and Zadie Smith’s novel NW when preparing his students to write personally about their experience of the city. Another theme of this issue is the importance of the personal and authentic in the daily work of teaching and learning. Trevor Millum’s poem “Class Accents” suggests the complex nature of student and teacher voice. The book reviews offer a conjunction of episteme and techne. Urszula Clark reviews Giovanelli and Clayton’s Knowing About Language: Linguistics and the Secondary English Classroom, while Victoria Elliott reviews Skidmore and Murakami’s Dialogic Pedagogy. Foucault used episteme to define what might be called the epistemological unconscious of a community of practice, and he insisted that the essential political problem is to try to change our “political, economic, institutional regime of the production of truth”. This issue argues the importance of bringing together episteme and techne in the experience of English teachers: a consummation devoutly to be wished in present circumstances. Members of NATE will receive their printed copy of English in Education shortly. To join NATE, see sidebar. There has been much concern about the new grammar, punctuation and spelling (GPS) tests for primary school pupils. Parents, teachers, academics and other commentators claim that the tests are inappropriate for primary pupils and that these high stakes assessments have a deleterious effect on teaching and learning. This context-free view of grammar implies that children’s language is either right or wrong. 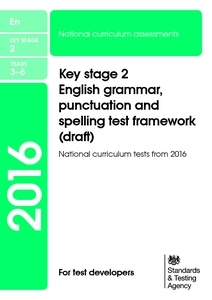 Lord Bew’s review (2011) of Key Stage 2 testing, assessment and accountability seized (p.60) upon “spelling, grammar, punctuation, vocabulary” as elements of writing “where there are clear ‘right’ and ‘wrong’ answers, which lend themselves to externally-marked testing”. GPS performance thus becomes a key indicator of a school’s success or failure – even though the view inscribed in the tests is so limited. Donald Trump spoke these words to James Comey, former Director of the FBI, at a private meeting in the Oval Office. As Alex Ward of vox.com states, these are the most important words of Comey’s testimony today to the House Intelligence Committee. Comey felt that these were a direction to him by the President of the United States. Primary school children in England taking the new tests in grammar, punctuation and spelling will have been taught that a command always includes a verb in the imperative mood. In everyday social life, however, the context of an utterance helps to determine its meaning. Any bedraggled six-year-old knows that a parent or teacher exclaiming “Look at the state of you!” is not merely giving a command. And yet this exclamation (as it seems to me) is defined as a command in the current tests. He did not direct you to let it go? Not in his words, no. He did not order you to let it go? Again, those words are not an order. This is a president of the United States with me alone saying I hope this. I took it as, this is what he wants me to do. I didn’t obey that, but that’s the way I took it. Comey is drawing attention to the context of Trump’s words, and in particular to the power relationship between himself and his interlocutor. He is implicitly making a grammatical analysis of language as a social semiotic – as deriving much of its meaning from the context of use. It remains to be seen whether the Senate Intelligence Committee will accept this more adequate socio-linguistic analysis of the President’s words.